Now you can work and play. Apple unveiled its latest iPad on Tuesday: A $329, 9.7-inch model that will only cost educators $299. Apple believes that the new tablet, introduced during an education-focused event at Chicago’s Lane Tech College Prep High School, will be able to fend off Google’s Chromebooks, which have gained significant ground in the classroom. The marquee feature of the new iPad is support for Apple Pencil, the company’s stylus previously reserved for the iPad Pro. 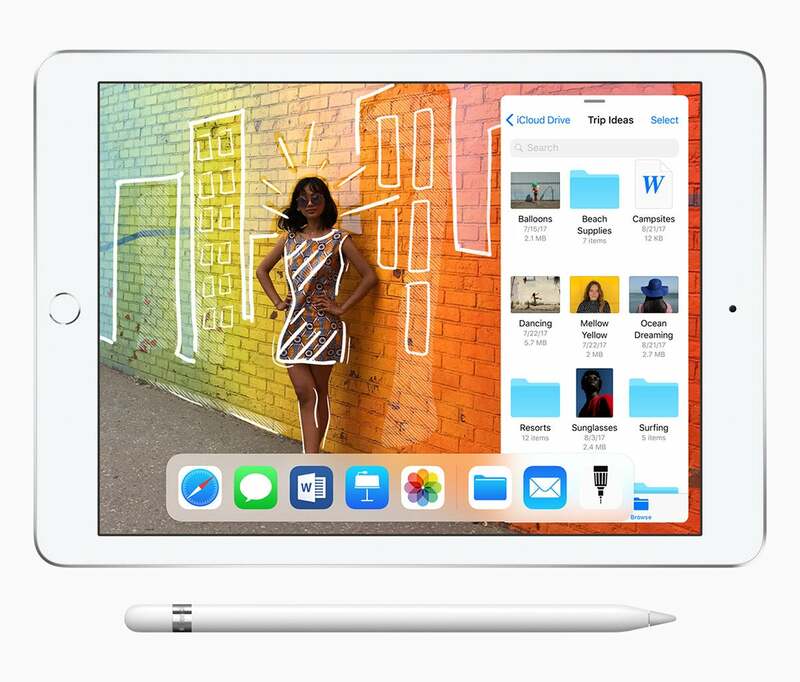 With the $99 Pencil, users can input text, write notes, or draw directly on the iPad’s screen. The new tablet doesn't include a connector to support Apple's Smart Keyboard, however. 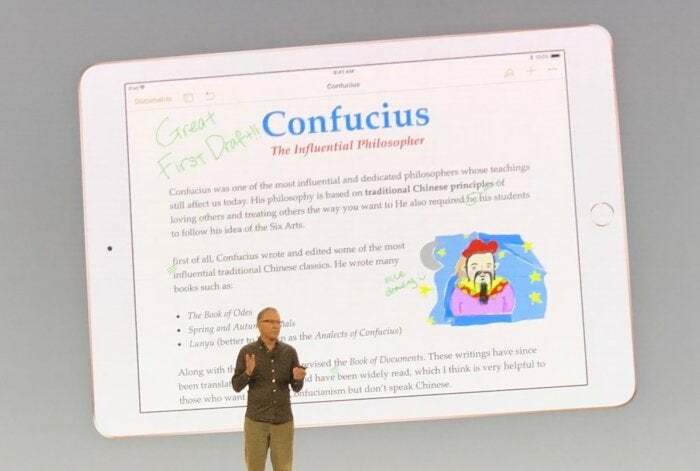 To usher in the new Pencil support, Apple is also releasing new versions of its iWork apps that bring tools to both consumers and teachers. Among the additions is a version of iBooks Author built into Pages so you can create digital books like on the Mac. Apple will also be adding smart annotation in a future update so you can make up Pages files without ruining your work. There are also new versions of GarageBand and Clips with animal sounds and filters geared toward kids. Apple VP Greg Jowsiak shows the new version of Pages for iOS at the Apple Chicago education event on March 27, 2018. Since the event was held at a school in Chicago, there naturally there was a flurry of education-based announcements. In addition to getting a free upgrade to 200GB of iCloud storage for every student, schools who sign up for Apple’s iPad curriculum will also get access to the new Classroom app on the Mac, which replicates the management app already on the iPad. Teachers will now be able to control which apps are being used by their students and easily share documents from their Macs to iPads. Also new is a Schoolwork app, which lets teachers track hand-outs and assignments, and keep tabs on each student’s progress, as well as Swift-based coding tools. There's also an Apple Teacher online training program with lesson plans devoted to incorporating the iPad's suite of apps into the classroom. Last year, Apple introduced a 9.7-inch iPad for $329, and sales for the iPad grew for the first time in three years. Apple's new iPad is available for purchase today at Apple.com.